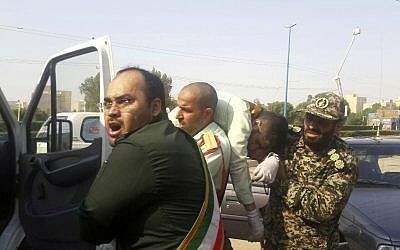 A news agency affiliated with the Islamic State terrorist group released a video Sunday which purports to show the perpetrators of a shooting attack at a military parade in the Iranian city of Ahwaz which left at least 29 people dead, including women and children, and wounded dozens more, some of them critically. 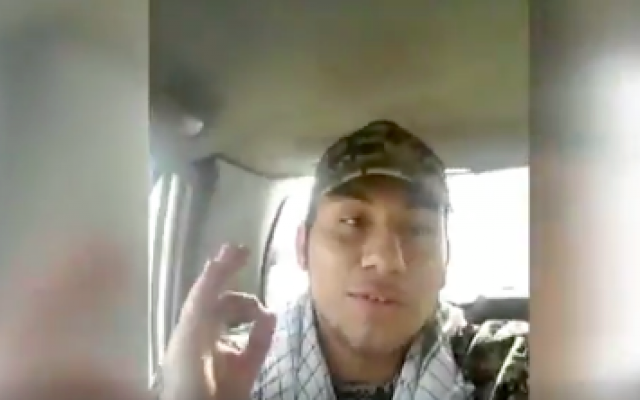 The footage, released by the Amaq news agency, shows three men in a vehicle, apparently on their way to carry out the attack. 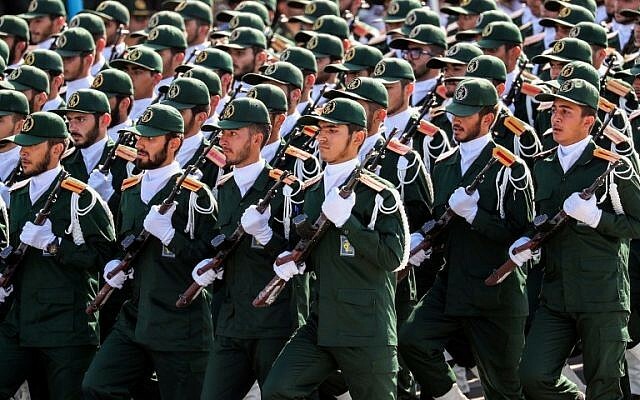 Gunmen disguised as soldiers on Saturday attacked the annual Iranian military parade in the country’s oil-rich southwest, marking the anniversary of the start of its 1980-1988 war with Saddam Hussein’s Iraq. 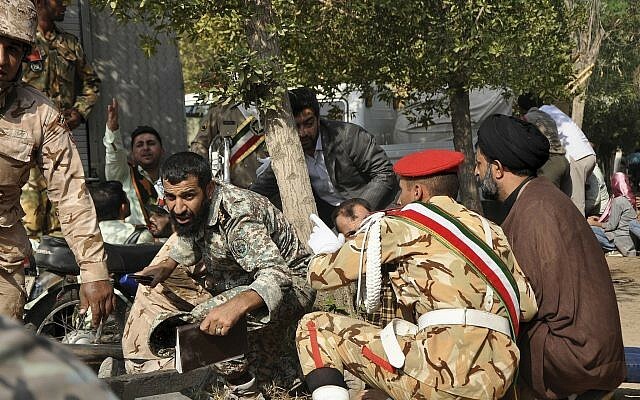 The attack saw gunfire sprayed into a crowd of marching soldiers from the Iranian Revolutionary Guard Corps, bystanders, and government officials watching from a nearby riser. Iranian officials blamed a number of different targets, including Israel, the US, and regional-arch enemy Saudi Arabia, while two groups — the Islamic State and an anti-government Arab group — claimed responsibility. But in the hours following the attack, state media and government officials seemed to come to the consensus that Arab separatists in the region were responsible. Ahvaz lies in Khuzestan, a province bordering Iraq that has a large ethnic Arab community and has seen separatist violence in the past that Iran has blamed on its regional rivals. The separatists, however, previously only conducted pipeline bombings at night or hit-and-run attacks. The separatists accuse Iran’s Persian-dominated government of discriminating against its ethnic Arab minority. Iran has blamed its Mideast archival, the Sunni kingdom of Saudi Arabia, for funding their activity. State media in Saudi Arabia did not immediately acknowledge the attack. “Their goal is to create insecurity in our dear country,” he added. 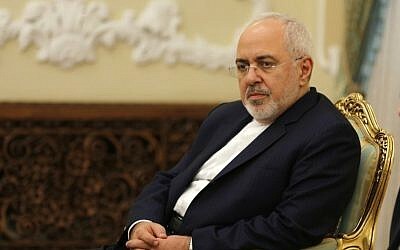 Iran’s Foreign Minister Mohammad Javad Zarif also immediately blamed the attack on regional countries and their “US masters,” calling the gunmen “terrorists recruited, trained, armed, and paid” by foreign powers. The claim further raises tensions in the Mideast as Tehran’s nuclear deal with world powers is in jeopardy after President Donald Trump withdrew the US from the accord. “Iran will respond swiftly and decisively in defense of Iranian lives,” Zarif wrote on Twitter. Iranian President Hassan Rouhani, meanwhile, ordered the country’s security forces to identify those behind the attack, according to the semi-official ISNA news agency, and warned of an aggressive response. Earlier Saturday, a spokesman for the Iranian army blamed Israel and the US for the attack. In a further claim, Yaghub Hur Totsari, a spokesman for the Arab Struggle Movement to Liberate Ahvaz, told Reuters the Ahvaz National Resistance umbrella organization of Arab anti-government armed movements was behind the attack, but did not specify which particular group carried it out. Shekarchi said the dead included a young girl and a former serviceman in a wheelchair. “Of the four terrorists, three were sent to hell at the scene, while the fourth who had been wounded and arrested went to hell moments ago due to his severe wounds,” Shekarchi told state television. 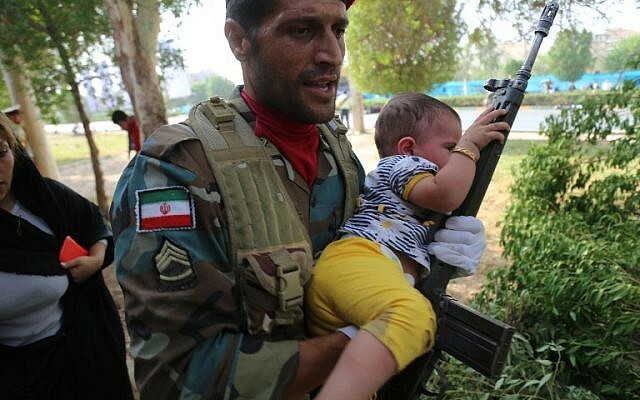 The Revolutionary Guard is a paramilitary force answerable only to Supreme Leader Ayatollah Ali Khamenei. The Guard also has vast holdings in Iran’s economy. Guard spokesman Gen. Ramazan Sharif also said that an Arab separatist group funded by Sunni arch-rival Saudi Arabia carried out the attack. State television immediately described the assailants as “takfiri gunmen,” a term previously used to describe the Islamic State group. Iran faced a bloody assault last year from the Islamic State group, and Arab separatists in the region have attacked oil pipelines there in the past. Saturday’s rally was one of many in cities across Iran held to mark the anniversary of the launch of the war with massive Iraqi air strikes. 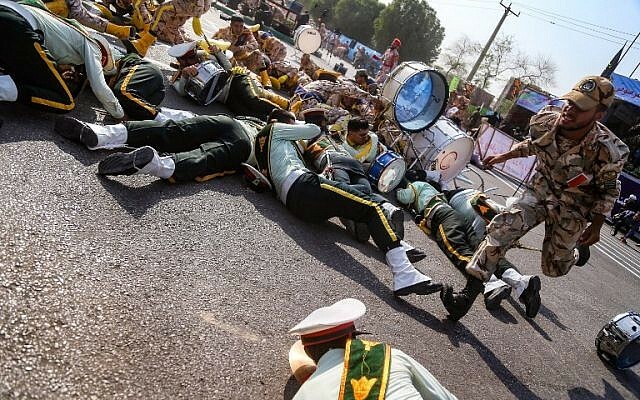 The attack came as rows of Revolutionary Guard soldiers marched down Ahvaz’s Quds (Jerusalem) Boulevard, which, like many other places around the country saw an annual parade marking the start of Iran’s long 1980s war with Iraq. Images captured by state television showed journalists and onlookers turn to look toward the first shots, then the rows of marchers broke as soldiers and civilians sought cover under sustained gunfire. “Oh God! Go, go, go! Lie down! Lie down!” one man screamed as a woman fled with her baby. In the aftermath, paramedics tended to the wounded as soldiers, some bloodied in their dress uniforms, helped their comrades to ambulances. Saturday’s attack comes after a coordinated June 7, 2017 Islamic State group assault on parliament and the shrine of Ayatollah Ruhollah Khomeini in Tehran. That attack had at that point been the only one by the Sunni extremists inside of Shiite Iran, which has been deeply involved in the wars in Iraq and Syria where the militants once held vast territory. At least 18 people were killed and more than 50 wounded in the 2017 attack that saw gunmen carrying Kalashnikov assault rifles and explosives storm the parliament complex where a legislative session had been in progress, starting an hours-long siege. Meanwhile, gunmen and suicide bombers also struck outside Khomeini’s mausoleum on Tehran’s southern outskirts. Khomeini led the 1979 Islamic Revolution that toppled the Western-backed shah to become Iran’s first supreme leader until his death in 1989. In the last decade, such attacks have been incredibly rare. In 2009 more than 40 people, including six Guard commanders, were killed in a suicide attack by Sunni extremists in Iran’s Sistan and Baluchistan province.